TWSBI fountain pens show up on all sorts of Best Fountain Pen Ever lists. To me, TWSBI is to pens what Fields Notes is to paper. That is, TWSBI and Field Notes get it right just enough to keep my coming back for more, but neither would appear on my Best Ever list. 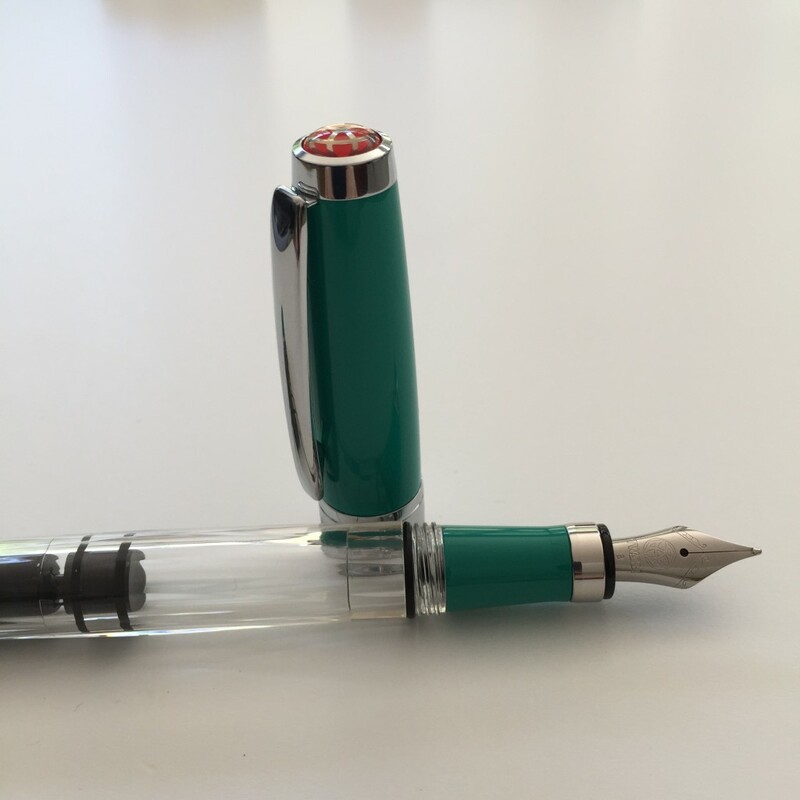 My biggest issues with TWSBI have been nib (and maybe feed) related – hard starts and some skipping. Others have had some serious issues with cracking (though I understand TWSBI has worked through this issue). 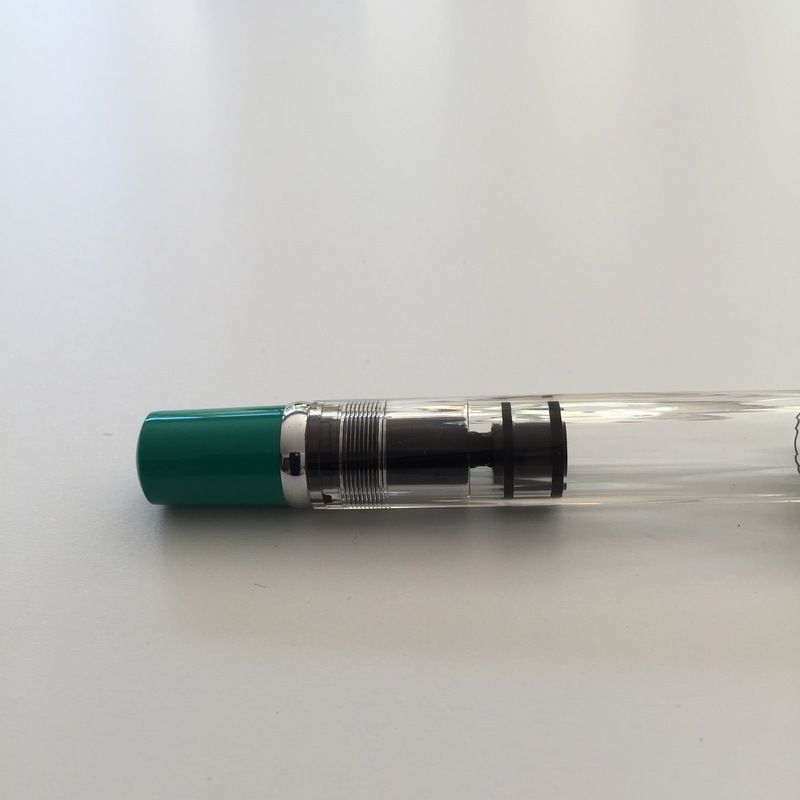 That aside, let’s take a closer look at the TWSBI Diamond 580. I love the faceted clear barrel of the pen. Mine has a broad nib. And while I don’t have pictures here, TWSBI pens are designed to be fully disassembled. Cleaning them is a breeze. 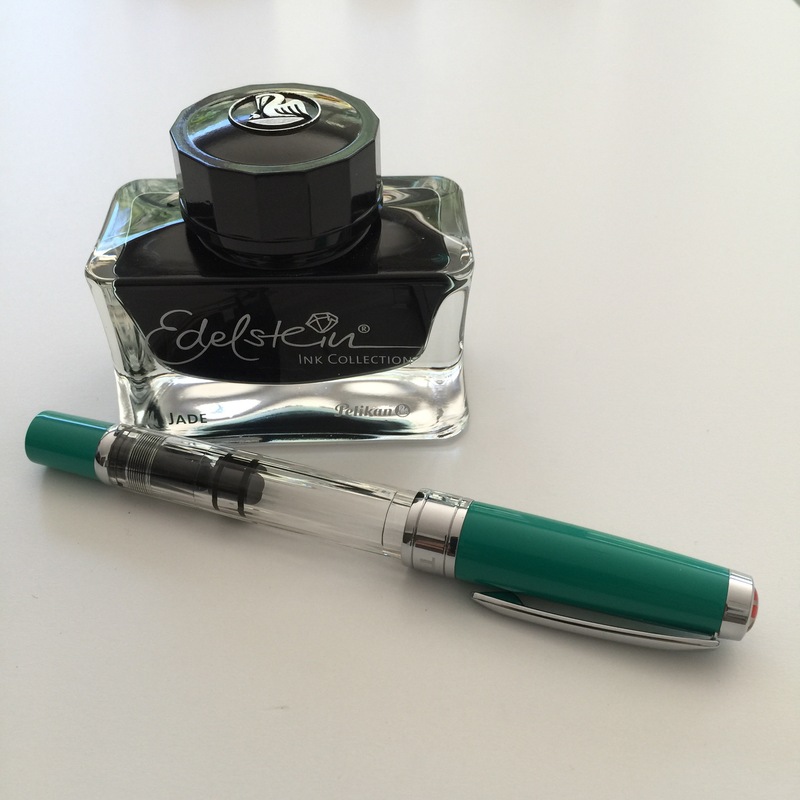 Pelikan Edelstein inks have a good reputation of working well in most pens and Jade seemed to closely match the color of the pen. How does it write? Wonderfully! Perfectly! Look . . . 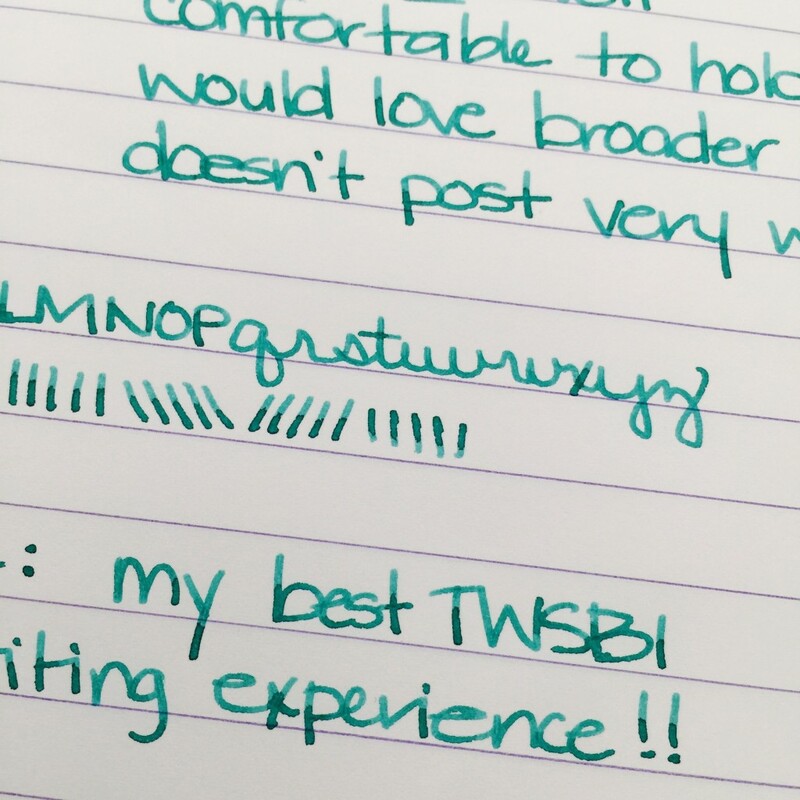 Seriously, this was my best TWSBI experience ever. No piddling around, no ink changes, just sit down and write. Annnnnd! In my Will It Write experiment, you can see that even after this pen sat unused for more than two weeks, it picked up right where it left off. The 580 is super comfortable to hold. The writing experience was smooth with very little feedback. I only experienced one hard start (probably due to a weird hand position on my part). I’m truly impressed with this pen. I do wish the nib was a bit more broad and it’s not the best pen to post (put the cap on the back end while writing). 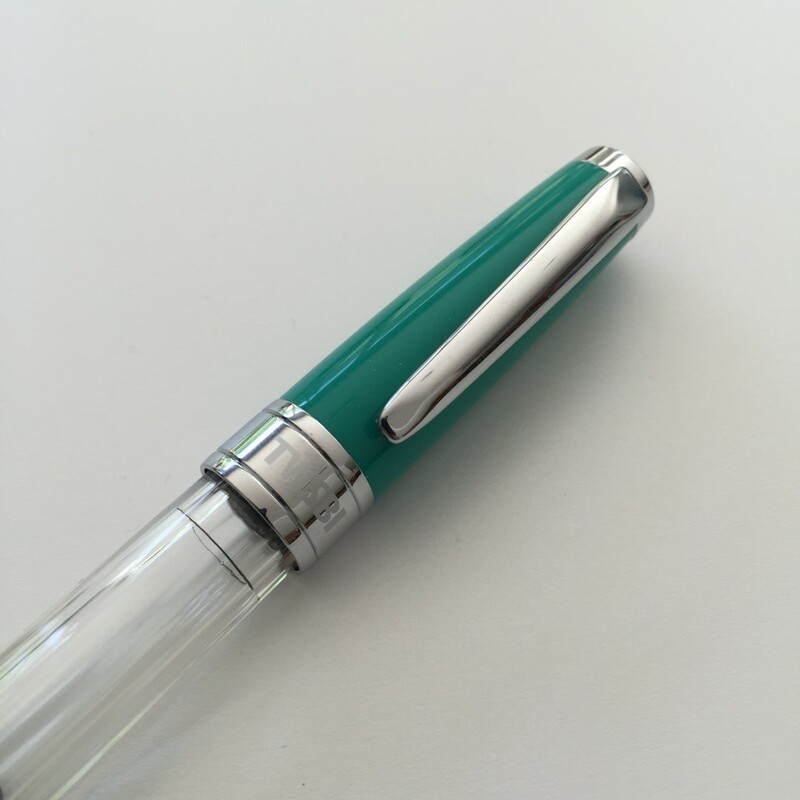 What about Pelikan Edelstein Jade? It’s a nice enough color – leans a little too blue for me. It writes wonderfully and flow from the pen is good. It’s well-saturated and there is some shading. 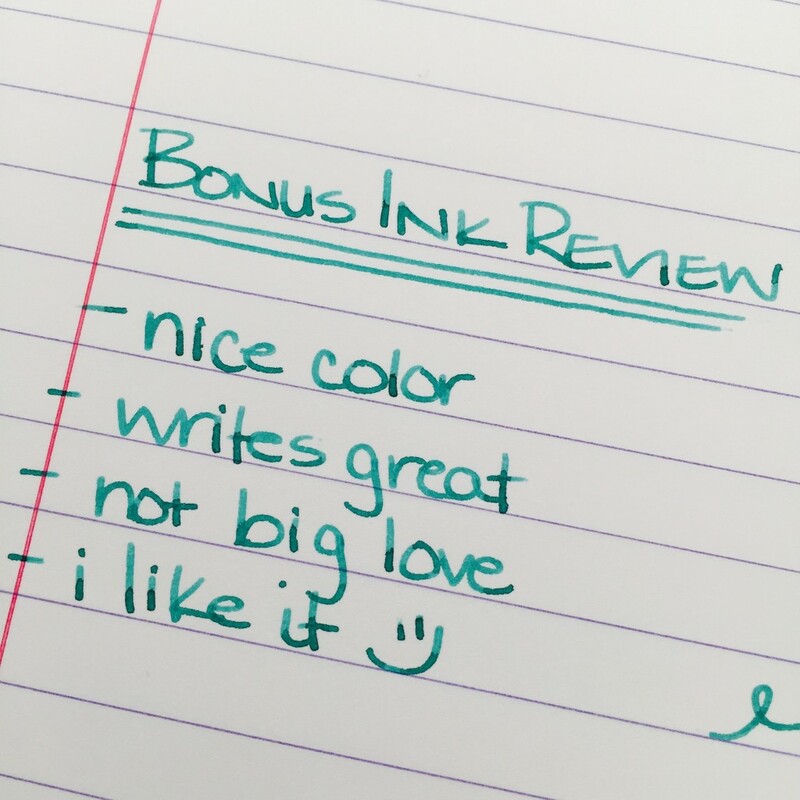 BOTTOM LINE – TWSBI Diamond 580: I love this pen. Your mileage may vary due to inconsistencies with TWSBI in general. 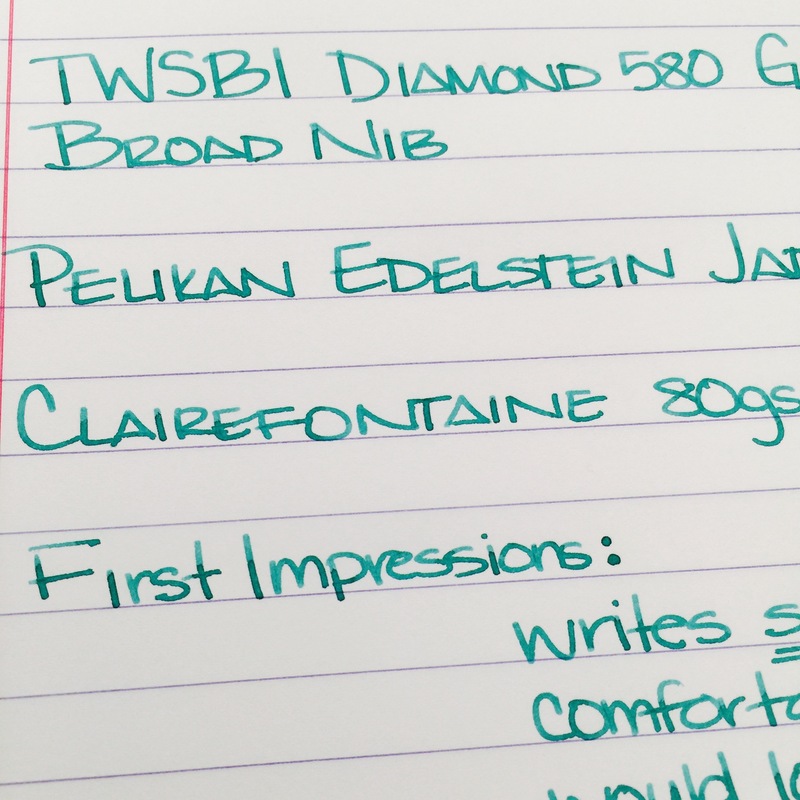 BOTTOM LINE – Pelikan Edelstein Jade: You might love this ink! The color isn’t a favorite of mine, but everything else about the ink is wonderful. 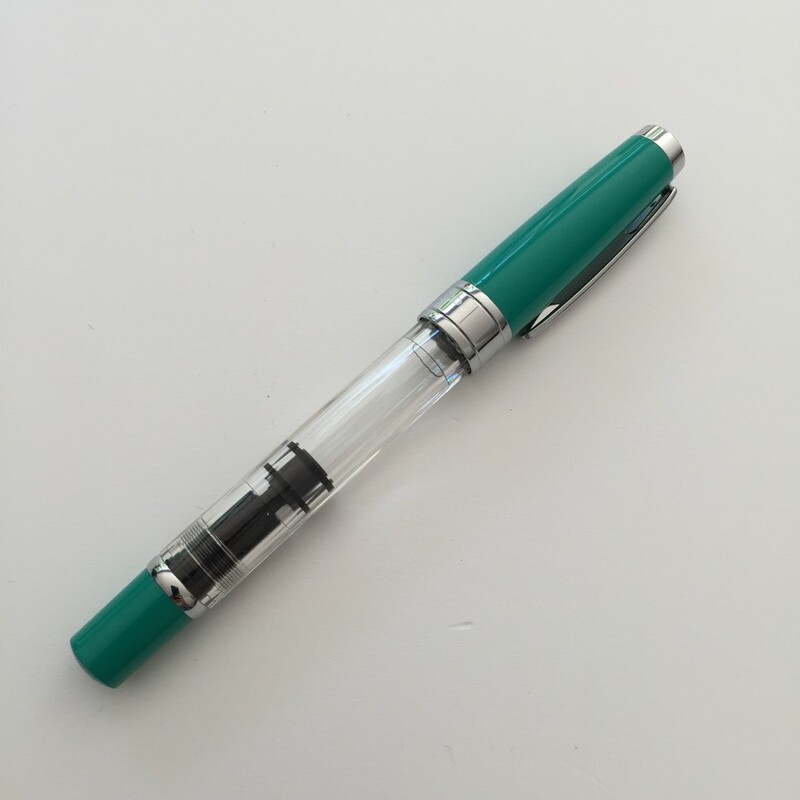 So…TWSBI….tell me your experiences? Am I alone in my Field Notes comparison? 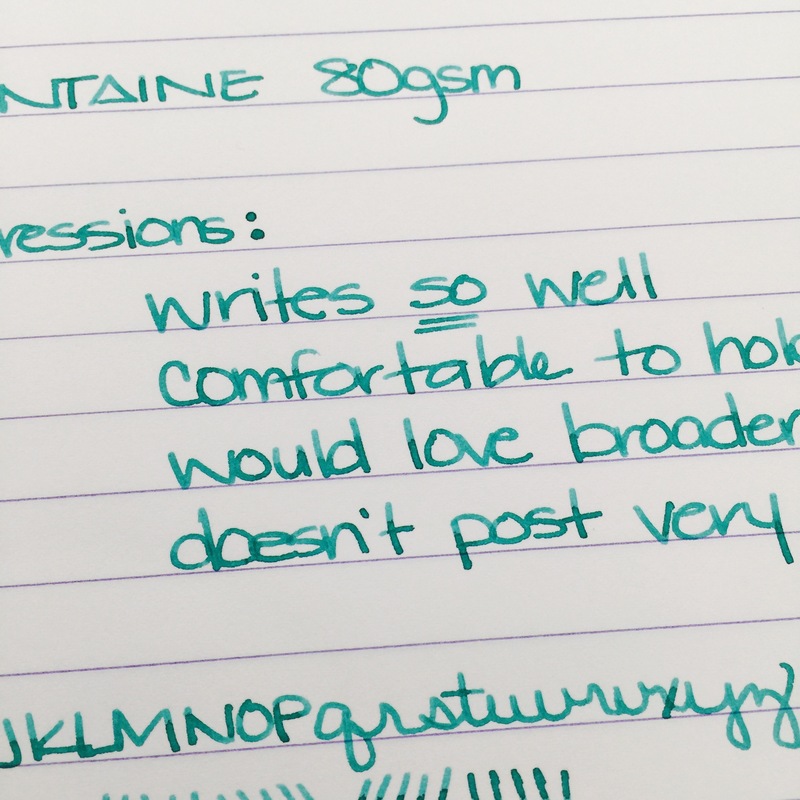 This entry was posted in FOUNTAIN PENS, INKS and tagged fountain pen review, green, ink review, pelikan edelstein, twsbi by Christine (Pentulant). Bookmark the permalink. 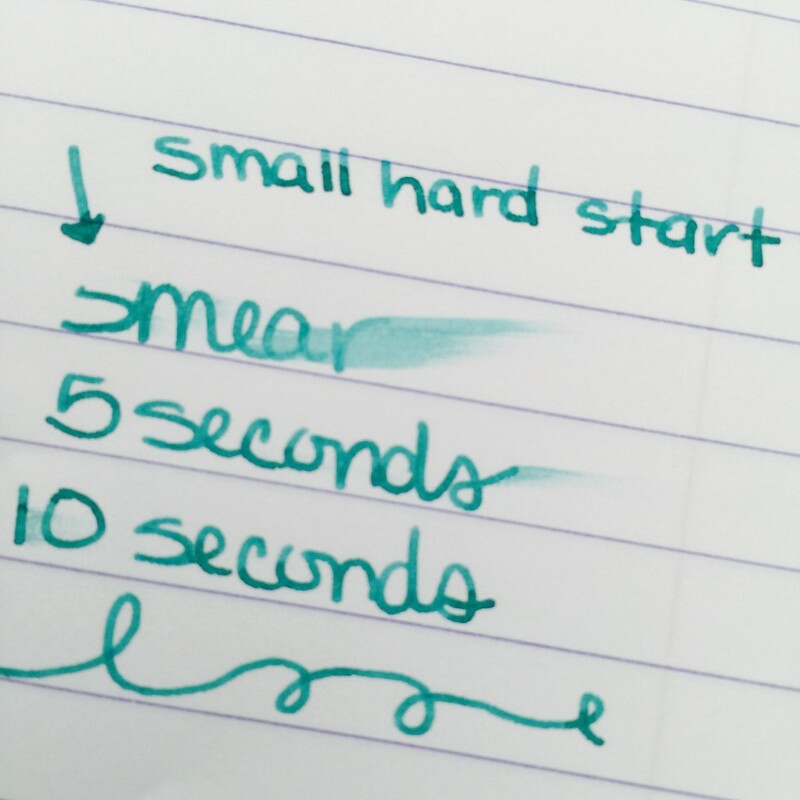 How about identifying the nib size you used to do your writing? Much appreciated. Never mind! I just noticed it in your write up! Great pics, BTW.